An old idea of reality animates the poems in The Mechanical Bird: things are never what they seem. 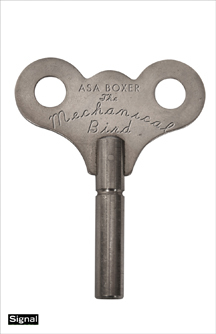 Opening with a quick-talking disquisition on lying ["Keep it simple, tidy, / take a noncommittal stance"] and ending with masterly mediation on the workshop and its "drawing-board dreams," Asa Boxer's debut constantly tests the claims of authenticity over artifice. Objects, settings and everyday details are swept up in an imagination that can never quite shake the sense of the visible world-even nature itself-as an artful mixture of fact and invention. As suggested by the eponymous metal songster, these poems are exquisitely crafted, infused with a sense of kinetic spell-making, and sing with an exuberant trust in their own guile. Montreal writer Asa Boxer won first prize in the 2004 CBC/enRoute poetry competition for his poem cycle entitled "The Workshop," which is included in The Mechanical Bird. He was also shortlisted for the 2005 CBC Literary Awards. His poems, articles, and reviews have appeared in London Magazine, Arc, Books in Canada, Maisonneuve and CNQ.